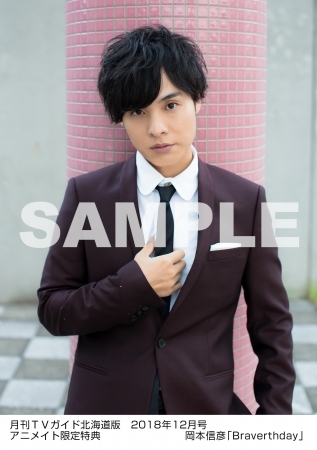 Nobuhiko Okamoto is going to be featured on Gekkan TV Guide‘s December issue. Okamoto was interviewed about his upcoming mini-album “Braverthday“. 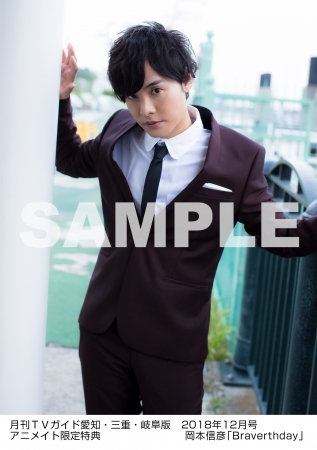 A couple of previews of his gravure feature were released. 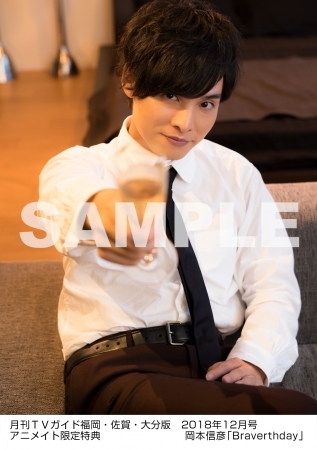 Note that each preview is from a bonus included with the magazine (there are different versions of this magazine – that include information on the TV guide for each Japanese prefecture). This issue also includes an interview with Hiroshi Kamiya about his 7th mini-album as well as his participation on Kiramune’s reading play “Colors“. This issue hits stores on 24/10/2018. Gekkan TV Guide‘s December issue is still unavailable for pre-order at CDJAPAN.